If you made it through childhood with no eye or vision problems and you’re still many years away from the ocular troubles known to plague seniors, you may think you’re justified in not worrying about your eyes for the time being — but you’d be wrong. The years between high school graduation and workplace retirement can be highly dynamic ones for the eyes, and many of the changes that occur are subtle enough to go unnoticed until you’ve really got a problem. Fortunately, you can rely on The Plano Eye Care Center for all your adult eye exams in Plano, TX. The eye may stop growing after childhood, but that doesn’t mean it remains static. The most obvious example of ongoing change in the eye is the progression of refractive errors that cause minute changes in your vision, requiring ongoing vision testing and adjustments to your corrective lens prescription. The biggest refractive change, however, typically begins at the age of 40. Presbyopia is a stiffening of the intraocular lens that occurs in middle age, making it harder and harder for you to bring near objects into focus. If you’re already nearsighted, you now need separate fields of vision correction for distant objects and near objects. If you develop an autoimmune disease called Sjogrens syndrome, you may start experiencing dry eye during your adult years. Type 1 diabetes sometimes shows up after childhood, in the early 20s or even later; this can cause a sight-robbing condition called diabetic retinopathy. Glaucoma risk rises significantly after the age of 40. Some disease associated with senior eyes, such as cataracts and macular degeneration, may begin developing before the age of 60. If you spend countless hours at your office computer, you may suffer from a type of eye strain known as computer vision syndrome. 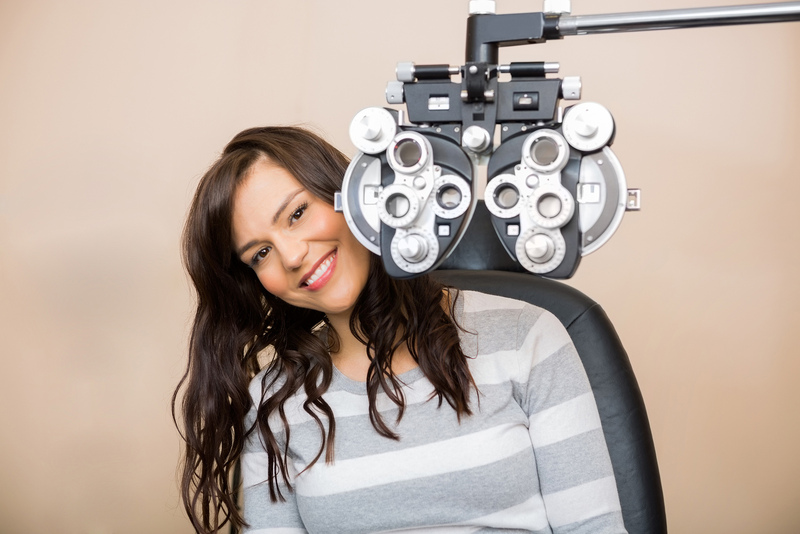 The American Optometric Association recommends an eye exam every two years for people aged 18 to 60 — unless you have a known eye/vision problem or are at risk for one, in which case you need to schedule yearly Plano eye exams. Our optometrists, Dr. Khoja and Dr. Patel, will examine your eyes inside and out with their customary care, looking for the earliest signs of diseases or disorders. If you’re experiencing work-related eye strain or other such issues, we’ll discuss your symptoms and recommend treatments ranging from eye drops and filtered lenses to changes in work habits. Last but not least, we can check your vision and fit you with multifocal glasses or contacts to correct presbyopia. Contact The Plano Eye Care Center to Learn More about Eye Exams! Keep your eyes in good shape through your grownup years. Call 972-964-3937 to schedule adult eye exams in Plano, TX!